Shoulders are a significant muscle group in your body that could determine your posture and physique. If you want to be in shape and look great, it’s high time you put an effort on your shoulders. To achieve a fruitful shoulder workout, you have to concentrate on heavy lifting and all the three heads of the muscle. Here are 10 exercises you can try during your shoulder training day. You will find it much easier to push the load when seated and momentum will not bother you. The barbell press is also more likely to yield significant results on your triceps than the dumbbells. You will experience some strain on your anterior delts as soon as you start lifting the weight since your upper arms will not be moving directly to your sides. Such anterior delt activation is easier to achieve with a barbell rather than a dumbbell. You may keep the bar on the front side consistently if your shoulders are sore. It is not advisable to lower the bar behind your head as you may find this painful over time. Starting with this exercise in your workout is okay. There are many ways you can do this press, but the best way to begin is to hold the dumbbells near your shoulders. Your palms should be facing you. Lift the load overhead as you rotate your wrists such that your palms face forward at the top position. Your wrists have to rotate in the opposite direction when going back to your original position. You can start with a basic overhead press before you start the Arnold press. You can extend the rep ranges for the Arnold press if you begin with heavy overhead presses. Both the dumbbell and the barbell can be used for this movement. When using the barbell, start with the bar slightly near your upper chest and push the weight straight overhead. You can stop for some few seconds before resuming. You should consider that you may experience some strain on your lower back or an unprecedented change in your COG (center of gravity) during this movement. The best way to shield yourself from such drawbacks is to maintain a little bend in your knees. Changes in the movement of your hips or buttocks (sticking it back) could lead to an injury to your lumbar spine. You can achieve greater activation with dumbbells, but you may need to lift heavy weights to achieve that. You can do more reps or push more weight with this move more than any other overhead pressing exercise. What unique about this move is the fact that it’s recognized as a whole-body movement. It’s also perceived as a strength movement rather than an exercise for bodybuilding. Most of your lower body, triceps, upper pecs and delts are involved in this movement. You should begin with the barbell placed near your upper chest. You will then bend your knees a little and push the bar overhead. You are more likely to activate your muscle-building hormones with this movement. However, it would not be an exercise you should often do on your shoulder day. If you plan to do it, warm up well first and do it first in your workout. Also, don’t perform these variations on every workout since they involve many muscle groups. You can always add this move to your shoulder work out since it activates all three delt heads. This would be a great exercise when pairing both your back and shoulders on the same day. You can start with overhead presses before these movements during your shoulder training day. You can also do it before starting single joint movements. These variations are considered as multi-joint movements targeting the middle delts. You can use an EZ bar, Smith machine, barbell or cables to achieve the same variations and output. It’s crucial to opt for an option that will ensure your wrists are comfortable. The best choice should be one that allows your upper arms to go out to your sides directly to avoid rotating your shoulders internally. Using a wider grip will help you achieve greater delt activation. It’s not advisable to do this exercise first in your workout. Instead, you should do it after your overhead press or as a burnout move to finish your routine. You can use cable handles or a barbell to go about this movement. The standard dumbbell is mostly recommended. It’s easier to identify strength imbalances and adjust since each side works on its own. You can do this movement after the first half of your shoulder workout preferably after completing your multi-joint variations. To achieve maximum output, execute these movements before or after single-joint movements targeted on other delt heads. It’s important to consider the strength of your front delts when doing the front dumbbell raise. Most individuals undertrain the rears compared to other areas without being aware. Single joint exercises are supposed to include three movement arcs that should build the front and middle heads as well as the rear delts. The rear delt size should be considered more than the other parts to maintain both your posture and the health of your rotator cuff. Avoid using dumbbells to do a bent-over version since this will lead to poor weight control. You can use the rear pec-deck machine to activate your muscles but use a neutral grip instead of palms down grip. 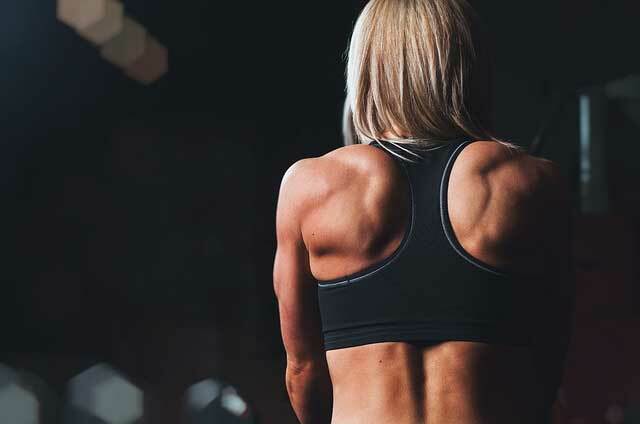 You can begin with the rear delt fly when doing isolation moves if your rear delts are weak or do it later in your workout after doing multi-joint movements. This exercise is effective since each side works independently thus demanding slightly more input from stabilizer muscles than a barbell would require. Pushing the weights together also requires a longer range of motion. However, you should not allow the dumbbells to touch when pushing. Your lower body is relieved from the lift when you are seated. Instead, much is required from the middle delts thus building them steadily. You can start with these variations in your shoulder session since you are more likely to push more weight while seated than when standing due to increased support. Use a seat back that can support your spine well when lifting heavy loads. You may also find a spotter useful when returning to your starting point. This single joint movement could work magic on your middle delts if you do them right. The best way to achieve results is to control your elbows. For instance, it’s advisable to stop the downward arc at around 30 degrees to your sides or above your shoulders if you need a range of motion that is slightly longer. You can adjust to lighter weights each time you experience muscle failures. You can begin with this exercise if you want to bring your delts up. But if they need more work, you can do it last after other single joint movements. Heavy weightlifting is more likely to yield better results when it comes to shoulder exercises. However, some of the movements named above may easily activate EMG even with light weights. Most importantly, maintain proper nutrition and training if you want to build great physiques. You can also use the right workout supplements to boost your power.